Sloe up in September… and pick the berries! September’s arrival is a treat in so many ways. The leaves are turning, every last drop of sunshine is a bonus and most importantly the sloes are ripening. 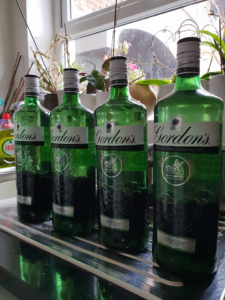 This year there has been a bumper crop of sloes on many of the hedges around Sarratt and Chipperfield making my annual Sloe Gin forage a pleasure. I set out with a shopping bag and a golf club to carefully lower the higher branches which seem to bear the plumper clusters. Sloe bushes or Blackthorn ( Prunus Spinosa) are hardy and do not seem to have suffered from the long hot summer that has stunted other autumn harvests like apples. Some say you have to wait for the frosts to come before picking your sloes, softening the berries and encouraging the juices to bleed into the gin but I’ve never had the patience. 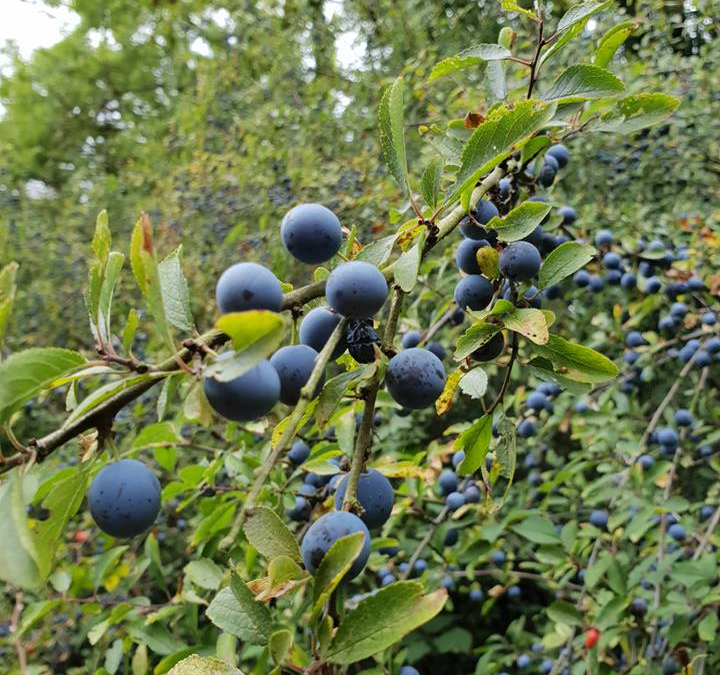 Pick them now and your Sloe Gin will be ready for Christmas. Here is how…. Fill one third of your chosen bottle with sugar, drop in sloes up to the two thirds level then top up with Gin (or Vodka if you prefer). Leave the mixture for at least two months turning the bottles from time to time to ensure the sugar has dissolved and the berries are stirred. Drink neat, mix with tonic, Prosecco or make a mull with apple juice, oranges and a cinnamon stick and try not to finish it all before next September!